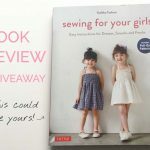 Home DIY Fashion	Stylish Party Dresses – Japanese sewing book review & give away! I saw the Japanese version of Stylish Party Dresses in Tokyo earlier this year, so I’m so excited to get my hands on the newly released English version! 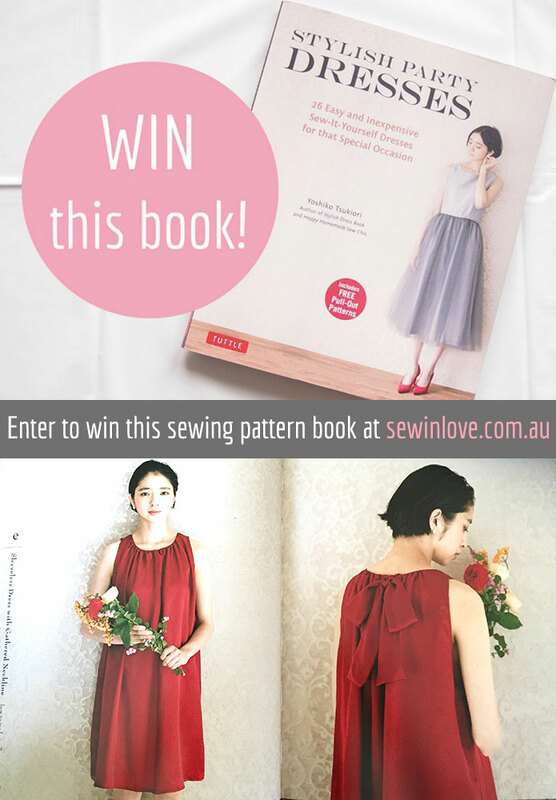 Tuttle Publishing has kindly offered a copy to give away to a Sew in Love reader, so keep reading for information on how to enter the competition. With 26 designs to choose from, having this one book covers you for any special occasion you have coming up. The author, Yoshiko Tsukiori has done it again with simple, minimalist designs which put the fabric in the spotlight. Tsukiori is also the author of the popular Stylish Dress Book series. 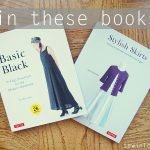 Check out the silk dress and smock dress I made from her books. I share a few of my favourite designs from Stylish Party Dresses over on the Sew in Love YouTube channel. 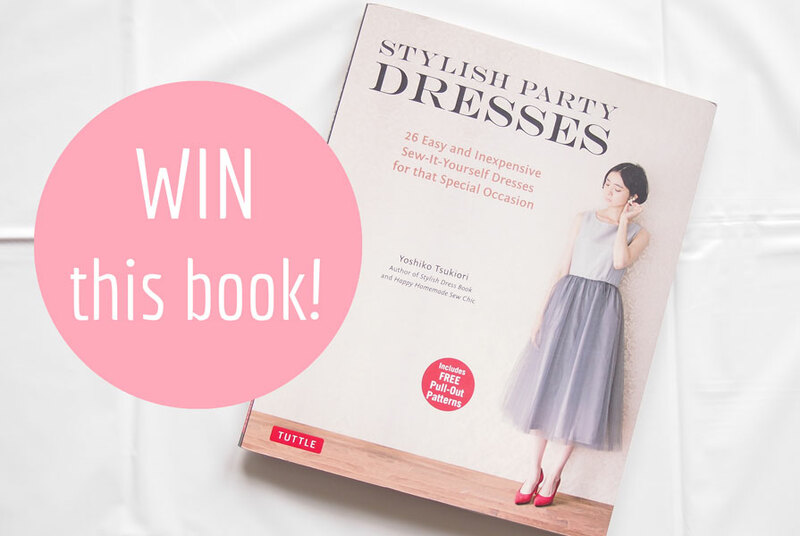 The lucky winner will receive a copy of Stylish Party Dresses as well as my ebook, How to Sew Japanese Sewing Patterns. 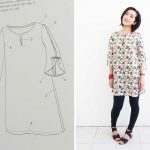 My ebook explains Japanese sizing and the entire sewing process of Japanese patterns, so it will help you succeed with sewing the designs in Stylish Party Dresses. 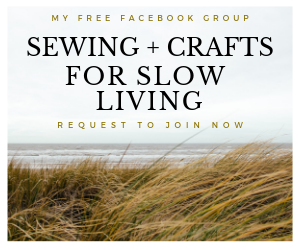 You can download a free sample of my ebook by clicking on the banner below! Please note: This give away is open to US and Canadian residents only due to shipping costs. Sorry! Do you live in US or Canada? What is your favourite dress shape to wear? For example, my answer would be “I live in the US and my favourite dress shape is a straight shift dress”. Winner will be chosen based on creativity and originality. Thank you to Tuttle Publishing for sponsoring this giveaway. Good luck everyone! I live in the US and my favorite dress shape is A-line. I live in the U.S. And love to wear shift dresses. 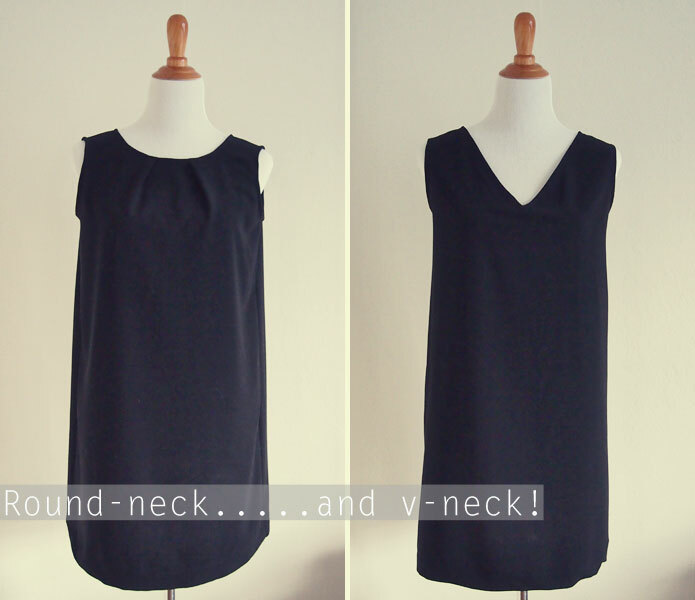 I live in the U.S. and my favorite dress shape is a straight shift dress. I live in Quebec, the Gallic village of Canada, and my favorite dress shape is a boho/bohemian dress (thank you globalization)! I live in the U.S. and my favorite dress shape is a princess line dress. I live in Phoenix AZ and I love wrap dresses! I live in the US and love an A line. I live in the US and I love the 50’s style dresses with the fitted top and full skirt and the exact opposite in the floaty straight sack kind of dresses! My mom lives in the US (so it can be sent to her adress) and I like ’50/’60’s dresses and simple boyish no figure kinda dresses! Hello, thank you for offering this wonderful book. 2. My favorite dress shape to wear is long A line and loose fit and conservative. Such a fun giveaway! I live in Montgomery, AL and I love wrap dresses. I live in Tennessee which I believe is still part of the U.S. , my favorite style of dress to wear is an empire waist dress as it hides a multitude of squishy body problems. I live in the US and my favorite shape is the wrap dress. i live in New Mexico, USA, and I like loose but simple, good looking dresses. I live in the US and I love a great A-line dress. I live in the US and I like shift dresses. Thanks for the giveaway! I reside in the United States. I love to make clothing with many many pieces to the pattern so that I can mix and match and mix again different prints and solids for the various pattern pieces. If a pattern does not have a lot of pieces, I will sometimes cut up a pattern piece, cut the pieces out of a variety of patterns\solids and then reassemble that piece. I guess I have transferred my love of quilting to my love of sewing my clothes. I live in the US and I love the style where there is a fitted, more conservative top (preferably boatneck), defined waist, with a big, full skirt on the bottom! My most favorite style of dress would be the Audrey Hepburn “Sabrina” dress. It is a high neckline, princess seam bodice with a mid calf 50’s full skirt. On each shoulder strap is a tied ribbon bow. Hopefully this is not too specific! I love how it is so girly and fun with the shoulder ties, but still oozes grace and elegance with the classic style and how modest it is. This is my dream dress and I hope I can sew one just like this someday! I live in Los Angeles, California, USA. I love a lovely and simple “gathered at the waist” dress with a plain bodice. So many possibilities to style: belted, sleeveless, cap sleeves, three-quarter sleeve, collars, etc. Thanks for the giveaway contest! Fun! I am living in San Francisco U.S. I love girly dresses with bustier tops, however I sew more fitted dresses with colorblock options. Those styles fits more to.my contemporary style. I live in the US and my favorite dress shape is a “fit and flare,” but I’m itching to try something new and make that cute sack dress with the high neckline and bow in the back! Hello! I live in Canada and my favourite dress shape would be bohemian dresses. I love how flowy and casual they look. I am in Raleigh NC, with my body shape I think a A-line dress will look good on me. I live in Canada, and I adore pleats, which work well with an a-line shape. I live in the U.S. and hot California right now, so I love the cool halter style dresses, especially those that are convertible so I can wear my sports bras with them, ha, ha. Comfort is key in dresses when it’s hot. I live in the US and my favorite dress shape is the wrap dress! Howdy! I live in Texas, and the sheath is, hands down, my favorite dress to wear and to sew! Hello! I live in the US and my favorite dress shape is the “tent” shape–so comfortable and chic! I live in the US and I love A line or Empire waist dresses. I live in the US and my favorite style of dress is empire waist, with an a-line skirt. I live in Germany and I love Empire waist Dresses or babydoll Dresses. I live in the US and my favorite I think is probably A-Line because I like the definition that style gives. Otherwise, anything that can be belted in the middle also works well for me. Right now though, they have to be flexible because I’m preggo, and then very soon, accessible because I’ll be nursing! I’m from the US and my favorite dress shape is princess seamed to show off my curves. I live in the US and I love dresses that are not fitted. I am from Boston and my favorite dress shape is a dropped waist dress! 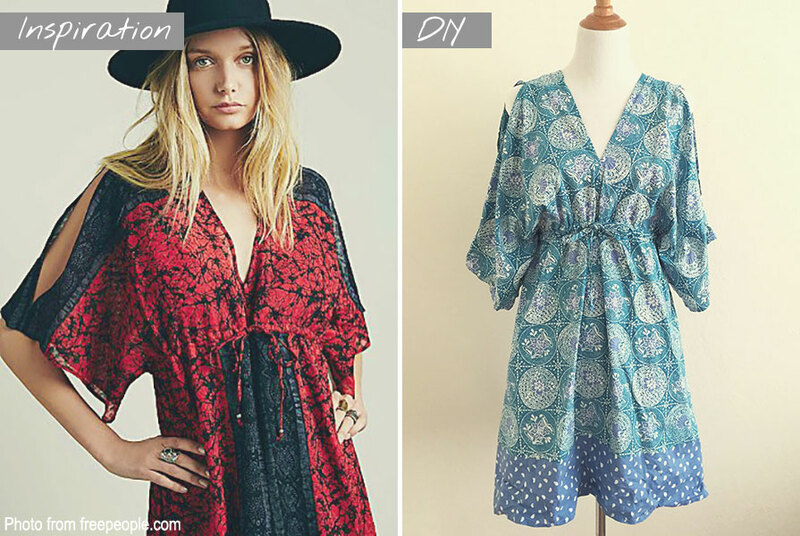 I’m from US, my favorite dress is the reversible shift dress! Everything about it, is great. You can do so much…Love it, Love you! I am currently living in southern USA. I seem to favor the empire waist or drop waist styles for comfort and the Japanese sewing books are full of them, yippee! Hello, Rin! I’ve been following your blog for a while, and I love your work. (I am actually working on the cocoon cardigan from one of your tutorials. 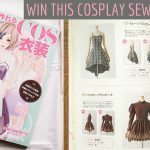 ^^) I recently got into sewing garments for myself and could really benefit from this book. I live in the US, and my favorite dress shape would be one with a high-waisted full skirt, especially those resembling cute dresses from the 50s. Thanks for the giveaway! Hi Rin! I’m from the US, my favorite dress is the boatneck fit-n-flare dress! 🙂 Thanks for this giveway! hi! i live in the US. i’m still learning about clothing terminology, but i love dresses with a defined waist– or anything that looks good belted! 🙂 i’d love to check out this book and learn more. Hello Rin ! I feel so lucky to find your website with so many great tips and inspiration. I live in Mountain View, CA, and go to SF every other week to see my in laws. Happier to meet sewing lover in local 😉 My favorite dress shape is Wrap style. I made some fitted style, and oversize style to wear it for a dress or jacket with a jean. But because of the complexity, I don’t make them that often. Can you give me a tip where you get your fabric? I still have hard time to match garment style with good fabric. Thanks !! Hi Sooyeon! The compeition ended last weekend, but thanks for commenting! Oh! I did not realized it’s almost end of September!! Time really do fly. Thank you for the tip. I will go check Mission Fabrics sometime.